Keywords and key phrases cause a great deal of confusion. If you search on the internet you will find many many different views. 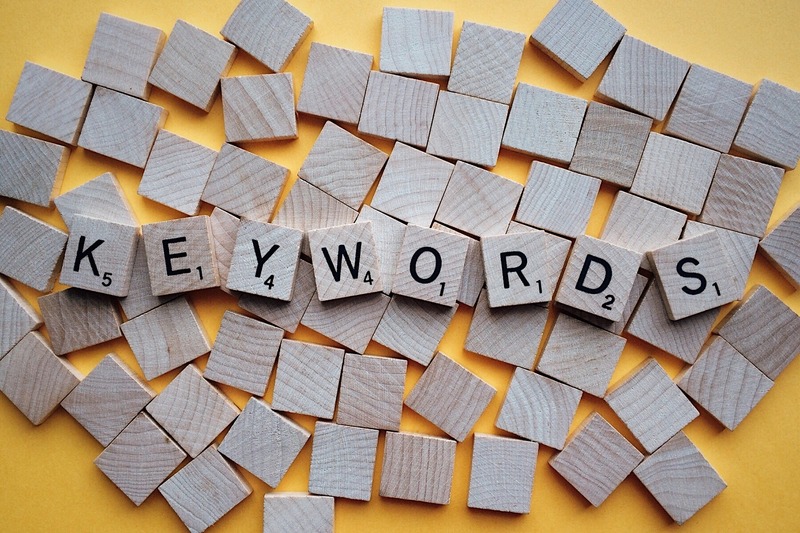 Many people will say that they are no longer relevant in search optimising (SEO) and that causes even more confusion, however when making these statements they are invariably referring to the meta tag “keywords”; they are not referring to the use of words that are important ie key, to your trade or business. We will be concentrating on how to SEO your site by constructing and wording your website so that you use the words that are relevant to your business, ie the key phrases for your business. Proper use will mean that when Google is looking for sites to list in a particular search result it will pick your webpage if it is relevant to the search made. What Keywords & Keyphrases Do Searchers Put Into Google to Find Your Website? Relevance is extremely important. You do not want your site appearing in searches that are nothing to do with your business however you DO want it to show up in search engine results (SERPS) for searches that ARE to do with your business. If you make sure that your site contains plenty of references to the keywords that properly describe your business your website is much more likely to appear in search results. Here is a simple example to illustrate what we mean. Say you are a photographer in Norwich, you will want to appear in searches for “photographer in Norwich”, however if on your webpage you repeatedly refer to “taking pictures” instead of photography you will find that you appear higher in search engine results for “taking pictures” and not for “photography”. In addition, if the only mention of being in Norwich is on, say, your contact page, then you will not appear for “Norwich” either. 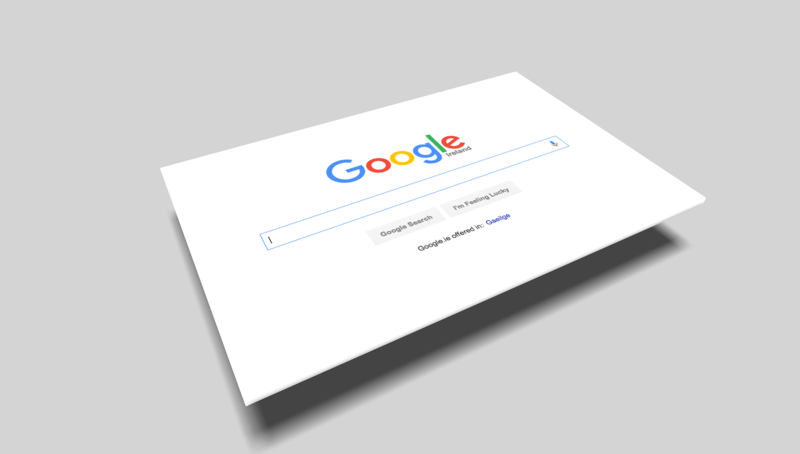 For your website to appear in search engine results the search engines need to have indexed your web pages, i.e. they have read and recorded all of the words on that page. They count the number of occurrences of each key phrase. Do note that search engines cannot “see” pictures, all they can see is the alt text, which is the text that is put on the page if for some reason the picture does not load, and the title text which is what shows up when you hover your mouse over an image. You need to make sure that the alt and title tags for your images include the keywords for that page. Once an internet user searches for one into Google, Google looks through the indexed pages to see whether there is a match for that exact word or phrase or similar and then lists the results. It is worth remembering that for very common terms eg “SEO” or “search engine optimisation” there is so much competition that more established websites are going to appear much higher in results than you are able, therefore it is worth giving some serious thought to longer key phrases that people may put into Google for your type of business e.g “SEO services in Birmingham”. Ask others what they would put into Google to get your website to come up excluding of course the actual name of your business! Collect all of these words and phrases together and work out what the most frequently occurring words are – choose 6 to 8 keywords but do not include any common words like “the” “at” etc and even the word “great”. Then look at the common phrases and choose one or two key phrases. Additionally look at your main competitors’ sites and see what they have used for the title tag of their homepage. To do this go onto their website and look at what is written in the browser title bar ie the solid bar right at the top of your browser window. Although there is little point in trying to compete for the most popular keywords with major national companies because of the long history they will have had on the internet – it is better for you to make your own niche by choosing some of your own which are more particular to your business and specialisation. Now that you have worked out which ones you want to focus on, you need to use them. Ideally, your domain name would include one or two of your main key phrases however by the time you read this you probably will have had your domain for some time; you could consider buying a new domain name which includes your main keyword, however, many SEO experts see this as a step in the wrong direction. You now have 6 to 8 phrases for your home page – list these in order of priority and then use them in the meta tag TITLE, putting the most important first. Many people put the name of their business first in the TITLE meta tag however unless your business name includes important keywords for your website then the name should be last in the title. Your meta tag title should include no more than 60 to 70 characters and they should be separated using commas or the vertical line or pipe “|”. Now use the same ones to complete the meta DESCRIPTION, this is the text that appears below your website listing in the search engine results. You want to make your description compelling so that people will click through to your webpage. If you do not fill in the META DESCRIPTION then the search engines will just select text from the page and this may not convey the correct message to your potential visitors and so they may not click through to your site. Your META DESCRIPTION should be no more than 150 characters. Now we come to HEADERS, ie h1, h2… tags. These act as visual markers on your web page to show users the various sections of the page but in addition they also show search engines just what the important sections of your page are. Generally, your first heading (h1) should include your most important keywords and indicate the general theme of the page. The subsidiary headings h2, h3 etc indicate sub-sections of your page and these headings should include those which are less important. Wherever you have an image you have an opportunity to assist your visitors and maximise the benefits of search engines indexing your website. For each image, you should have an “alt” tag and a “title” tag. The alt tag is what is written on the page if the picture does not load, the title tag is what the user sees if they hover their mouse over the image. Images can make your website more appealing to users and aid their understanding of what you can offer, they are however of no help when it comes to search engines as search engines cannot interpret images without some words to help them. This is why you should ensure that the alt and title tags are completed with a phrase that describes the image and most importantly uses some of your keywords or phrases. Now the most important aspect to focus on is the content of your homepage. You need to consider including your couple of keyphrases a few times and they need to each be present in a proportion of between 2-3% of the content. You should make sure that the text on your page still reads well and naturally. Remember it is most important to write for your users, they do not want to read stilted paragraphs. Do not feel tempted to just include lists of your keywords repeatedly as the search engines are wise to this and will penalise you. In addition, it can be tempting to see a well-written paragraph on another site and copy it onto yours – again do not do this. The search engines will soon see that you have duplicated someone else’s content and again you will be penalised. If you have completed the above then you are on your way to optimising your home page. Now all you have to do is the same process all over again for each of the pages on your website! Ideally, every page has its own theme and therefore its own key phrases. Once you have worked out the keyphrases for each page make sure that any internal links from one page of your site to another use the keywords for the destination page as the text for the link. Now monitor how your webpage performs by checking your search engine result position for the key phrases you chose. Any changes can take anything from days to weeks to show up in the search engine results depending on how often your website is indexed. Monitor your site’s performance for several weeks and then if you feel your keywords are not quite right to tweak them and monitor again for a few weeks. This month has seen temporary mass hysteria spread throughout the SEO community, as the beginning of March brought with it a new mystery update from Google. Within 24 hours, rankings started to fluctuate significantly enough for most experts to agree that a major algorithm update was upon us. However, the distinctive thing about this new update was that Google was even more vague than usual when commenting on the subject. Not only did Google employees refuse to confirm an update, there is no official word on what it concerns, and it wasn’t even given a nickname. A sarcastic tweet from one of their technicians, calling all future updates “Fred”, is all anyone has to work with. The general consensus on Fred, however, is that it concerns the quality of written content on websites. In the last few weeks since the algorithm started to incorporate the new patch, many different sites have seen their rankings plummet (or increase, in a small number of cases). There are few correlations between the affected sites, although most of those sites that saw their rankings drop were also found to contain content with could be described as advert-heavy or sales-driven. Some have suggested that Google may be starting to understand what pages look like to real users, instead of simply interpreting them in code form. This would theoretically allow for layouts without much visual appeal and a heavy focus on adverts to be picked up by Google and ranked lower. Although there is no evidence of this being the case, and it’s not known how it would be possible, this is a logical next step if the search engine is not already factoring this in. Overall, whether things are happening now or in the near future which could compromise your site’s rankings, it’s important to take action fast. The main point to take away from the Fred roll-out is that high quality content is more important than ever, and the details really do matter when you want to entice users as well as search engines. Although it’s not technically part of search engine optimisation, paid advertising is often considered an important part of digital marketing for websites that can usually work in conjunction with an organic traffic-based strategy. There are some similarities with SEO and PPC (pay-per-click), although there are many key differences too. Here are some of the most common mistakes people make when starting out in the world of paid Google listings. Some people are overly cautious about spending too much on clicks, and they limit their spend too much which allows their competitors to get ahead of them. Higher bids mean higher positions, so if you’re saving money on bid amounts you’ll probably be too low down to see good results. If you set your maximum bid above what you are really willing to pay, this will give you a competitive advantage in terms of ad impressions, and you will rarely have to actually pay that much for every click. A single AdGroup should only apply to people searching for one specific solution. All ads within a group need to be close variations on a theme in terms of what they are promoting, even if the wording is totally different. With organic SEO, you want to have specific landing pages so you can optimise them for particular keywords. The same is true for paid ads, as you will get better results with a narrow focus. By default, when you set up a campaign Google Adwords will assign the setting “Search network and display network” automatically. This is never the best solution, because your text ads on the search network will be aimed at people who are currently searching for your keywords, while your display network ads will be targeting people who are browsing other sites at the time. Since these users are at totally different points in their search, how could you possibly optimise ads for both of them? The answer is you can’t! Run separate campaigns for best results. If you are spending time optimising your campaign and you’re serious about getting the best results, you really need to commit to learning about all the additional tools and features on offer beyond the basics. You are very unlikely to get the best possible conversion rates from your paid listings if you only use the traditional text-based ads, while your competitors are exploring other options such as sitelinks, callouts, call-only adverts and so on.